Publication Notice: This issue of The Remnant is dated December 31, 2015, and is currently in the mail. You can read the new issue online by subscribing to THE REMNANT E-EDITION. Michael J. Matt From the Editor’s Desk… New Year’s in the Trenches (with a formerly Neo- Catholic band of brothers). 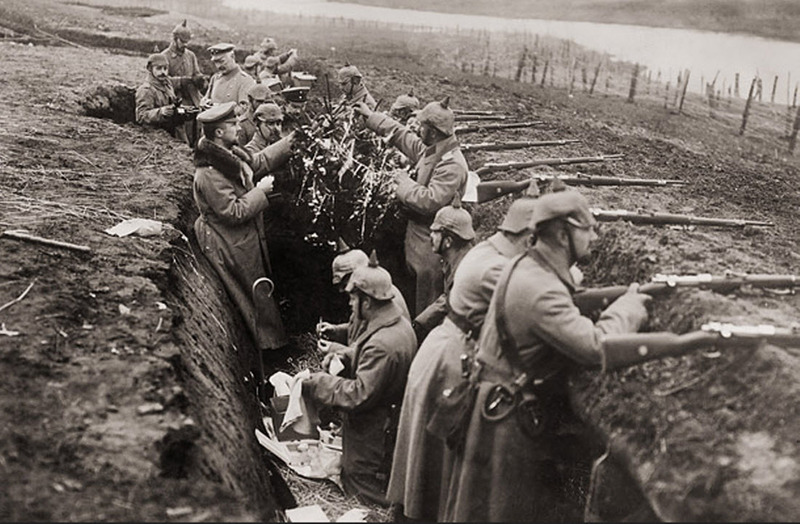 WWI German soldiers in the trenches in 1914 taking time out from killing and being killed to decorate a Christmas tree. They had much more in common with their foes than they realized. New Year’s Resolution: Let’s work to convince our Neo-Catholic brothers that we’re all in this together and that the dangerously ill-defined new evangelization, the trivialized New Mass, out-of-control ecumenical dialogue, and the entire demonic spirit of Vatican II are the problem, and what we need to do right now is resolve to take our Church back...together. Hilary White The Internet: Alpha and Omega to a Brave New World. The internet as a medium has brought us the final products of Modernia, the globalization of institutional stupidity, the glorification of pig-ignorance, shallow thinking and venal aspirations. Francis Fox Literature, Liturgy and the Permanent Things Summer in the City of NōThe account you are about to read has been prepared because you don’t know and you need to know the ruthlessness and cold calculation of those who hold the education of your children in a secret sleeper-hold. Susan Claire Potts Do You See What I See? … Last Christmas story of the season. Diane Levero A Remnant Book Review Creation, Evolution, and Catholicism: A Dis­cussion for Those Who Believe - by Thomas McFadden.